Although not as popular as the fashion product other clothes but the weather is suitable for Autumn / Winter. 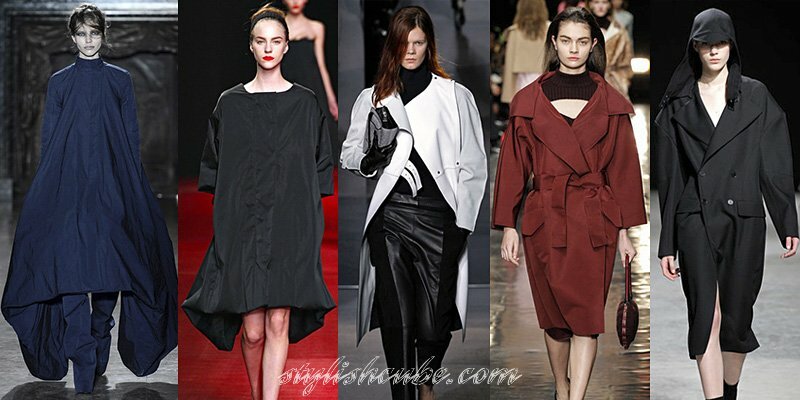 Thus, the designer has also introduced a collection of Coats for the autumn 2013. 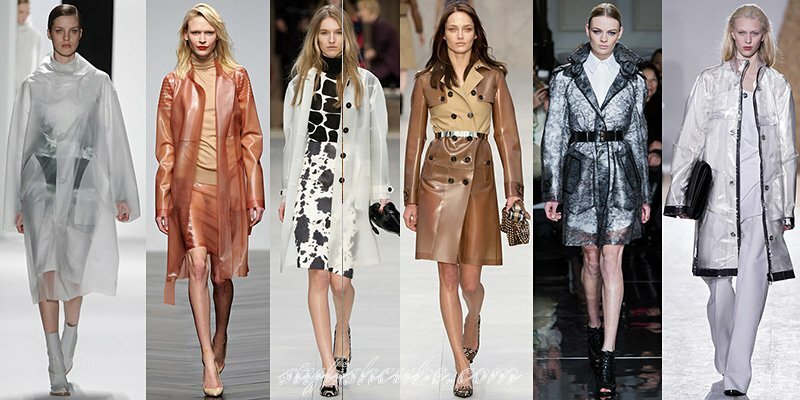 Through this, you will also understand the part about Fall 2013 Fashion Raincoats Trends. 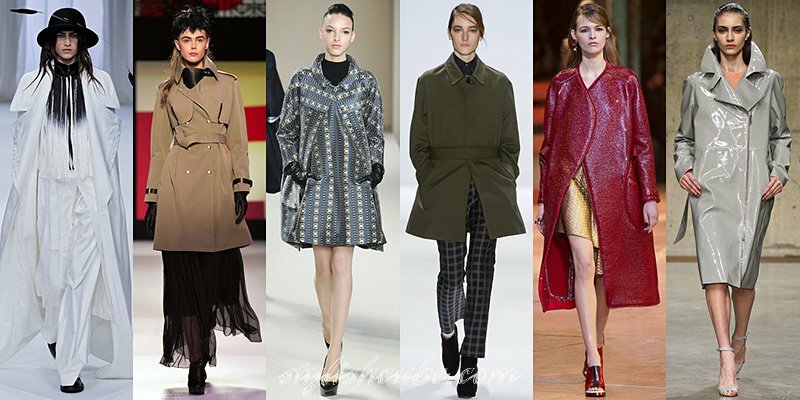 Besides popular trench coats and Macs, the fashionable styles of the season are – trapeze coats, models with the wrap over in the Japanese style, and the models with asymmetrical zipper. The silhouette of the new season are laid excessive claims; extra volume and rounded shoulder line are in fashion. In the construction of the models designers use sleeve--raglan and bat, the flat line of the armhole and turn-down collar on the stand up, shorter length of sleeves are also current. Coats made of translucent materials retain the position of a trend. The collections include models of latex and plastic, and models that are partially made of these materials. Popular transparent raincoats, and the raincoats of milk-white, peach and skin tones, model with a monotonic pattern look very interesting. 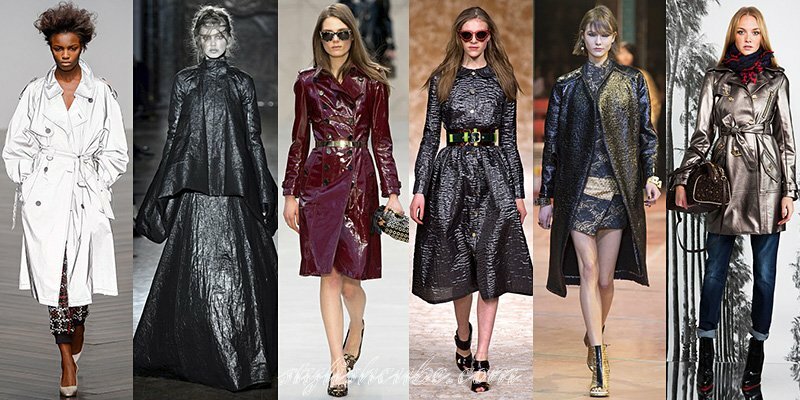 Shiny materials – is the next trend of the collections, raincoats made of materials with a smooth and volume shiny surface, including metallic and holographic shimmer, are fashionable. 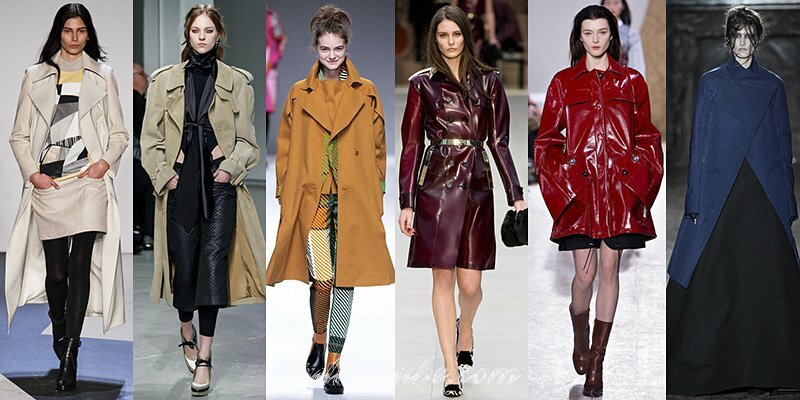 Also, among the popular material for fashion coats – are traditional raincoats and jackets fabric, smooth and patent leather, materials with volume picture and neoprene. Combined models are in vogue, some designers use lace overlaid onto the fabric in a contrasting color. In the new season relevant are colors traditional for raincoats such as white, gray and beige, and the full range of trendy colors of the season, especially darker shades of blue and burgundy. One of the trendy color solutions was the combination of red and black not only in a model but also in the suit as a whole. 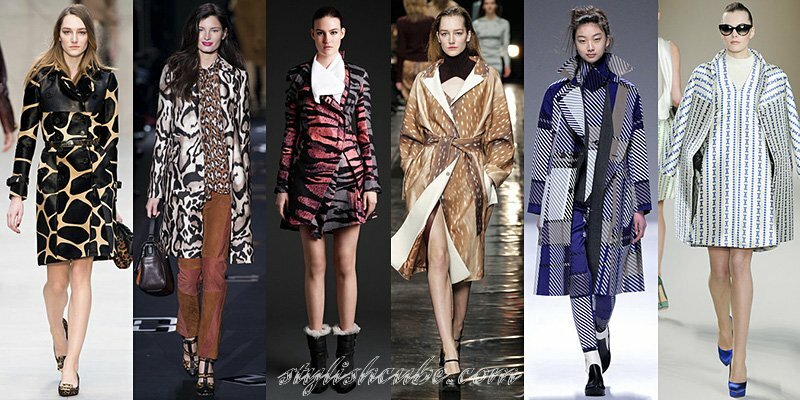 Choosing a female coat with a print, you should pay attention to the checked models with a geometric, abstract or large animal prints that are sure to attract attention.